Urgent message: The prevalence of cancer is increasing—and along with it, malignancy-associated complications. Early recognition and management of these conditions is vital to alleviating patient morbidity and maximizing quality of life. Cancer is a leading cause of morbidity and mortality throughout the world, accounting for over 580,000 deaths in 2013 in the U.S.1 With an aging population and more effective forms of treatment, the overall prevalence of cancer is increasing. Consequently, acute cancer-related complications are more common.2 For many patients, an oncologic complication will be their initial manifestation of cancer.3 Urgent care providers will be increasingly exposed to complications of cancer and cancer treatments, and it is paramount to recognize and know how to manage patients presenting with acute cancer complications. Early recognition and management can alleviate morbidity and sustain quality of life. This review will provide an overview of the pathophysiology, manifestations, and management of five common acute malignancy-associated complications: febrile neutropenia, superior vena cava syndrome, malignant spinal cord compression, malignancy-associated hypercalcemia, and venous thromboembolism. A 73-year-old man presents to an urgent care center complaining of shortness of breath. He states that the shortness of breath has worsened over the past several weeks, along with a feeling of facial fullness and increased cough. He has a history of non‒small-cell lung cancer that is actively being treated with radiation and chemotherapy. Other than an oxygen saturation of 92% on room air, his vital signs are normal. The physical exam is notable for swelling of the face and elevated jugular venous distention. What diagnoses are important to consider in this patient who is undergoing chemotherapy and radiation therapy for an already-recognized cancer? How can these conditions be diagnosed? When should patients presenting with suspected malignancy-associated complications be referred to a higher level of care? The most important part in the management of these patients is rapid treatment with antibiotics. It is recommended that antibiotics be initiated within 60 minutes of presentation.10 In the urgent care setting, any patient presenting with suspected neutropenic fever should be given fluids and started on antibiotics and transferred to the nearest ED with access to oncology. Table 2 shows antibiotic regimens for patients with neutropenic fever, based on risk assessment. Patients who identified as low risk may qualify to be treated on an outpatient basis. The success rate in these patients is around 80%, with 20% requiring readmission.4 Patients at increased risk include those older than 70 years, severe mucositis, poor performance status at home, and neutropenia <100 cells/μL.11 Collaboration with the patient’s oncologist is required in determining patient disposition. Symptom onset and severity depend on the degree and rate of obstruction.13 Slower developing obstruction allows for venous collateral formation, which can decrease the severity of symptoms.6 The most common symptom is dyspnea; cough, chest and shoulder pain, hoarseness, and dysphagia may also occur.12,13 Signs of SVC syndrome include facial edema (most common), distended neck veins, superficial chest veins, arm edema, and facial plethora.15 While uncommon, SVC obstruction and/or neck edema can be severe enough to impinge the airway, leading to need for airway support.6,13 The urgent care physician must take note of this when examining the patient and carefully evaluate for signs of respiratory distress. The most common symptom of MSCC is back pain, found in 80% to 95% of presentations; this often precedes the onset of other symptoms by several months.12,13 Pain is typically progressive and may be exacerbated by coughing, sneezing, or bending.6 Back pain that awakens a patient from sleep is concerning. While back pain is a common complaint in the urgent care setting, a presentation of back pain in a patient with a known cancer warrants investigation. The pathogenesis of venous thromboembolism is outlined by Virchow’s triad, consisting of alternations of blood flow (stasis), vascular endothelial injury, and a hypercoagulable state. Patients with cancer are at an increased risk of venous thromboembolism (VTE) due to a hypercoagulable state stemming from production of procoagulants.27 VTE is estimated to be clinically significant in up to 15% of cancer patients.28 Risk factors are detailed in Table 3. *Brain, stomach, lung, pancreas, renal, uterus, and bladder cancers have highest rate of VTE. Clinical suspicion is often based on the history and risk factors rather than the presentation. PE can present with a wide variety of symptoms. The classic presentation is a patient with dyspnea, tachypnea, and chest pain.4 Patients may be asymptomatic and, as in DVT, clinical suspicion should be based on the presence of risk factors. The mainstay of therapy for VTE is anticoagulation with low molecular weight heparin.4 Anticoagulation should be initiated immediately, as delay can lead to embolization.32 Most patients will require admission. Outpatient therapy is not appropriate in patients with massive DVT, suspected PE, high bleeding risk, or other comorbidities.33 It is essential to transfer these patients to an ED. The 73-year-old man whose case was described at the start of this article presented with signs and symptoms concerning for SVC syndrome. While dyspnea in this patient is also concerning for PE, several factors in the presentation, including the insidious onset of symptoms, are more suggestive of SVC syndrome. The patient was positioned upright and given supplemental oxygen and dexamethasone 4 mg IV. Chest x-ray demonstrated a widened mediastinum and pleural effusion. The urgent care provider called the patient’s oncologist and explained his suspicion of SVC syndrome and the need to rule out PE. They agreed to transfer the patient to a center where he could receive imaging, exclude a PE, and initiate the work-up of his probable SVC syndrome. Febrile neutropenia is a concern in any patient undergoing chemotherapy, and antibiotics must be initiated promptly. SVC syndrome is a common complication of several types of cancer, and rapid identification can maintain a higher quality of life in these patients. Malignant spinal cord compression must be ruled out in any patient with a previously diagnosed cancer who presents with back pain; diagnosis and management can prevent neurologic impairment and disability. Malignancy-associated hypercalcemia occurs in approximately one quarter of cancer patients; fluids and bisphosphonates are the mainstays of treatment. VTE is a potentially life-threatening complication of cancer, and recognition and evaluation can be lifesaving. While most of these oncologic emergencies are associated with a poor prognosis, rapid recognition and management are vital to minimize morbidity and sustain quality of life for these patients. Long B. Oncologic emergencies part II: pearls and pitfalls. emDocs. August 21, 2015. Available at: http://www.emdocs.net/oncologic-emergencies-part-ii-pearls-and-pitfalls/. Walji N, Chan AK, Peake DR. Common acute oncological emergencies: diagnosis, investigation and management. Postgrad Med J. 2008;84:418-427. Bow E, Wingard JR. Overview of neutropenic fever syndromes. UpToDate. Oct 2015. Helman A. Episode 33: Oncologic Emergencies. Emergency Medicine Cases. http://emergencymedicinecases.com/episode-33-oncologic-emergencies/. Sipsas NV, Bodey GP, Kontoyiannis DP. Perspectives for the management of febrile neutropenic patients with cancer in the 21st century. Cancer. 2005;103:1103-13. Flowers CR, et al. Antimicrobial prophylaxis and outpatient management of fever and neutropenia in adults treated for malignancy: American Society of Clinical Oncology clinical practice guideline. J Clin Oncol. 2013;31(6):794. Escalante CP, et al. Outcomes of treatment pathways in outpatient treatment of low risk febrile neutropenic cancer patients. Support Care Cancer. 2004;12(9):657-662. McCurdy MT, Shanholtz CB. Oncologic emergencies. Crit Care Med. 2012;40(7): 2212-2222. Long B. Oncologic emergencies part I: pearls and pitfalls. emDocs. 13 August 2015. http://www.emdocs.net/oncologic-emergencies-part-i-pearls-and-pitfalls/. Rice TW, Rodriguez RM, Light RW. The superior vena cava syndrome: clinical characteristics and evolving etiology. Medicine (Baltimore). 2006;85(1):37. Reed ED, Dmitry JR. Malignancy-related superior vena cava syndrome. UpToDate. Oct 2015. Parish JM, Marschke RF Jr, Dines DE, et al. Etiologic considerations in superior vena cava syndrome. Mayo Clin Proc. 1981;56(7):407. Yellin A, Rosen A, Reichert N, et al. Superior vena cava syndrome. The myth—the facts. Am Rev Respir Dis. 1990;141(5 Pt 1):1114. 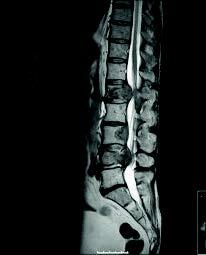 Schiff D. Spinal cord compression. Neurol Clin. 2003; 21:67-86; viii. Bach F, Larsen BH, Rohde K, et al. Metastatic spinal cord compression: occurrence, symptoms, clinical presentations and prognosis in 398 patients with spinal cord compression. Acta Neurochir (Wien). 1990;107:37-43. American Cancer Society: Cancer facts and figures. Atlanta, GA; 2010. Klimo Jr P, Thompson CJ, Kestle JRW, et al. A meta-analysis of surgery versus conventional radiotherapy for the treatment of metastatic epidural spinal disease. Neuro-oncol. 2005;7:64-76. Helweg-Larsen S, Sorensen PS. Symptoms and signs in metastatic spinal cord compression: a study of progression from first symptom until diagnosis in 153 patients. Eur J Cancer. 1994;30A(3):396. Stewart AF. Clinical practice: hypercalcemia associated with cancer. N Engl J Med. 2005;352(4):373. Diercks DB, Shumaik GM, Harrigan RA, et al. Electrocardiographic manifestations: electrolyte abnormalities. J Emerg Med. 2004;27(2):153. Fleisch H. Bisphosphonates: pharmacology and use in the treatment of tumour-induced hypercalcaemic and metastatic bone disease. Drugs. 1991;42:919-944. Ralston SH, Gallacher SJ, Patel U, et al. Cancer-associated hypercalcemia: morbidity and mortality. Clinical experience in 126 treated patients. Ann Intern Med. 1990;112:499-504. Bauer KA, Lip, GY. Overview of the causes of venous thrombosis. UpToDate. Oct 2015. Chew HK, Wun T, Harvey D, et al. Incidence of venous thromboembolism and its effect on survival among patients with common cancers. Arch Intern Med. 2006;166(4):458-464. Khorana AA, Kuderer NM, Culakova E, et al. Development and validation of a predictive model for chemotherapy-associated thrombosis. Blood. 2008;111(10):4902. Bauer KA. Approach to the diagnosis and therapy of lower extremity deep vein thrombosis. UpToDate. Oct 2015. Thompson BT, Hales CA. Overview of acute pulmonary embolism in adults. UpToDate. October 2015.
den Exter PL, van Es J, Erkens PM, et al. Impact of delay in clinical presentation on the diagnostic management and prognosis of patients with suspected pulmonary embolism. Am J Respir Crit Care Med. 2013;187(12):1369-1373. Douketis JD. Treatment of deep vein thrombosis: which factors determine appropriate treatment? Can Fam Physician. 2005;51:217.